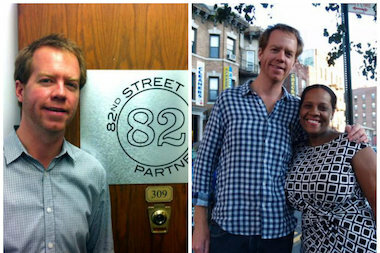 Seth Taylor joined the 82nd Street Partnership in 2012. JACKSON HEIGHTS — The executive director of a local business improvement district that was looking to make a controversial expansion has stepped down to take a new job in Manhattan, DNAinfo has learned. Seth Taylor will leave the 82nd Street Partnership, where he has worked for more than two years, to join the NoHo NY Business Improvement District as its executive director starting Sept. 15, he wrote in an email to the board members. His last day is Sept 5, he said. The committee is now actively looking for replacement, the email said. In addition to managing the 82nd Street business district, Taylor helped spearhead the proposal for the controversial Jackson Heights-Corona BID, which would expand the current district along Roosevelt Avenue. Some groups and business owners said the proposal would only help real estate investors and that the additional money businesses will have to pay will overburden them. The BID organizers said the district would help improve street life and business in the area. And some have personally attacked Taylor, asking him publicly to step down — most recently at the latest public meeting about the BID in July. He told DNAinfo New York he was proud of what he and his team had accomplished and felt the BID was in a great place to expand. "Over those two and a half years our organization rebuilt itself to deliver much improved services to the local businesses and to the property owners," he said. Taylor joined in 2012 after the previous director was removed by the Department of Small Business Services, which controls the BID leadership. He has an extensive background in business improvement districts including time spent at the 34th Street Partnership, Downtown Brooklyn Partnership and Union Square Partnership. He pointed to the improved sanitation, increased fundraising, storefront renovations and the removal of nearly 2,000 graffiti tags on 82nd Street. The organization also created its signature event, Viva La Comida, which will be held this year on Sept. 20. "There's never an ideal time to move on, but we felt like this was a good time now that we've written our district plan," for the expansion, he said. "It's been a very rewarding and gratifying experience." Councilwoman Julissa Ferreras commended Taylor for his role in expanding the 82nd Street Partnership through his outreach and education. "As our plans to create the first-ever Jackson Heights-Corona Business Improvement District move forward, it is my hope to bring on a new executive director that will lead us through the completion of this proposal while engaging our diverse community to deliver the Roosevelt Avenue corridor to a new threshold," she wrote in a statement. A representative from SBS did not immediately comment.